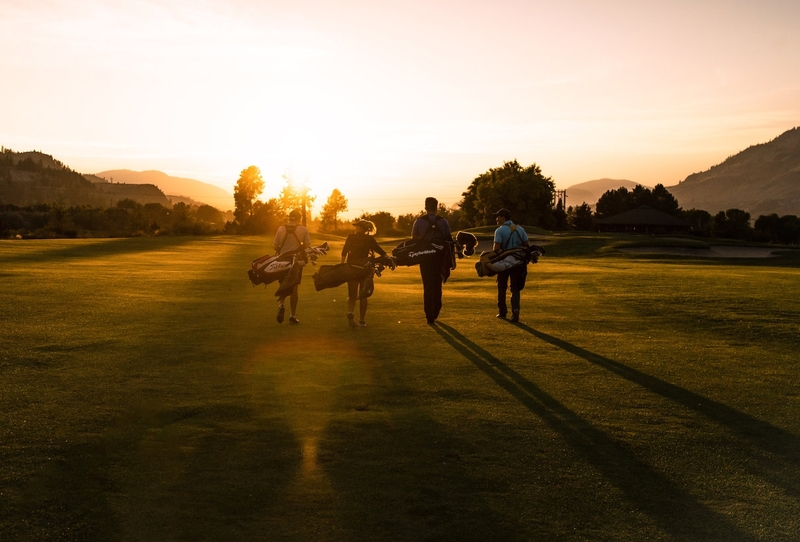 In early 2019, over 2500 BC Golf members took part in the largest provincial course ranking survey to date. 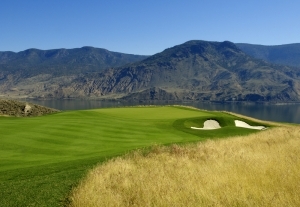 It’s no surprise that Talking Rock and Tobiano have been widely recognized as the top 2 public courses in BC, as these distinct layouts are examples of ingenious course architecture. Although Talking Rock and Tobiano were developed by different architects, both courses were designed using the natural surroundings to create fun, challenging and visually appealing layouts. This has allowed fairway greens and pleasant lakeshore blues to stand out amongst the vast desert terrain that is home to the BC Interior. Had Talking Rock and Tobiano been designed for a different climate, it’s possible they may not have the same visual impact, as these courses make an unparalleled first impression with their bursting colours and dramatic panoramas. Talking Rock and Tobiano are uniquely situated in that they have been designed to embrace their surroundings, creating breathtaking layouts that required few land adjustments. 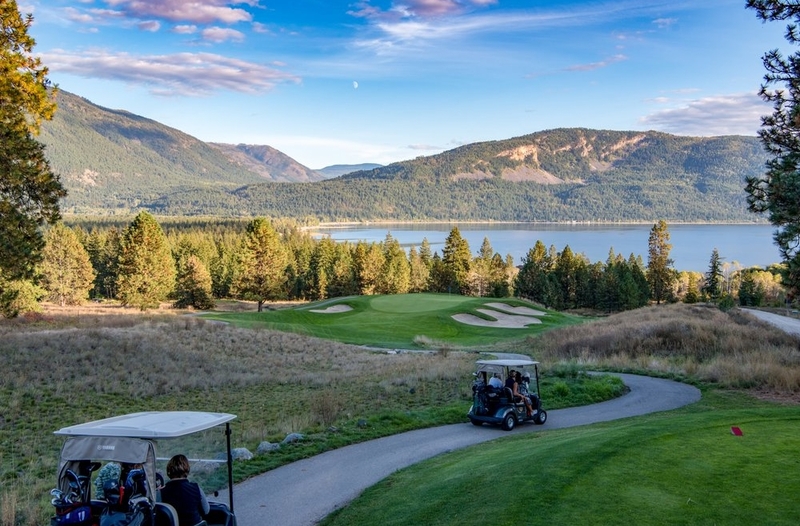 Talking Rock Golf Resort, located on the north end of Little Shuswap Lake, was established in 2007 by architects Graham Cooke and Wayne Carlton. The idea was to create a golf course that adopted the local terrain of rocky ground and wild fescue, detailing a distinct topography that would astonish golfers. 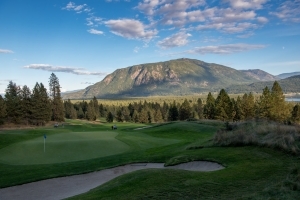 Talking Rock’s back nine climbs through the mountainous villas overlooking Shuswap Lake, and the finishing holes present a picturesque climax to an adventure through the tree lined golf course. Winding par fives and panoramic par threes are commonplace at Talking Rock; however, don’t be fooled by its beauty. Talking Rock’s simple deception is presented on each hole, as golfers attempt to carefully navigate the many fairway bunkers that are unseen from the tee box. Talking Rock is consistently a popular booking for golfers in BC and beyond, as one will be hard-pressed to find something similar to this gorgeous lakeside arrangement. When thinking of the Canada’s most popular golf courses; Glen Abbey Golf Club, Cabot Links, or Banff Springs, one should consider Tobiano a part of that group. Developed in the spring of 2007 by legendary architect Thomas McBroom, Tobiano is situated on the bluffs of Kamloops Lake, and presents dramatic views and 360 degree panoramas from every hole. Similar to Talking Rock, and many of the other Kamloops golf courses, Tobiano was designed to incorporate as much of the natural land as possible, protecting the integrity of its vast lakeside landscape. From the opening tee shot, it is apparent that Tobiano has been carefully thought out, and McBroom considered every piece of land when creating this BC masterpiece. McBroom explains, “Tobiano has to be the best site I’ve ever seen from a drama and a beauty point of view.” Tobiano is consistently recognized for its cliffside views of the lake, as this unique element is mostly prevalent among oceanside courses. 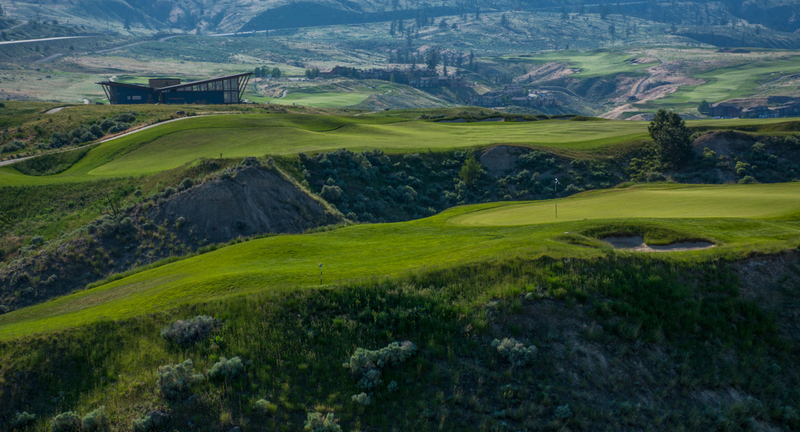 Daunting tee shots and perfectly manicured greens await at Tobiano. 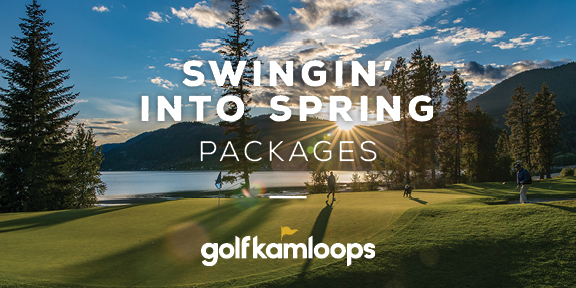 Kamloops is proud to be home to the top 2 public courses in BC, and continues to grow as a desired destination for unforgettable golf getaways.